Local authorities have been too slow to face up to their responsibilities to prevent child sexual exploitation, according to a new Ofsted report. The report ‘The sexual exploitation of children: it couldn’t happen here, could it?’ was commissioned by Ofsted’s Chief Inspector, Sir Michael Wilshaw, to build a clearer picture of how well local authorities and partners are working to prevent child sexual exploitation in their area, to offer protection to its victims, and to pursue and prosecute its abusers. Inspectors found that local arrangements to tackle sexual exploitation are often underdeveloped, and leadership frequently lacking. Some areas have only begun to address the issue strategically within the last 12 months, despite statutory guidance being issued more than five years ago. Responding to the report, 4Children Chief Executive Anne Longfield OBE said: “Child sexual exploitation shatters lives. But perhaps the most shocking fact is that the scale and extent of it across the UK remains unknown. It is clear that the agencies which are supposed to keep children safe are still too often failing to protect them. 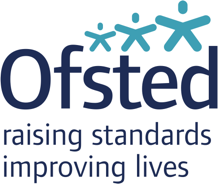 “Ofsted’s report highlights the need for local authorities to learn the lessons from Rotherham and prevent this systemic failure from happening again elsewhere. But we need a clear responsibility on all agencies, including Ofsted, to work together, share information and listen to children.